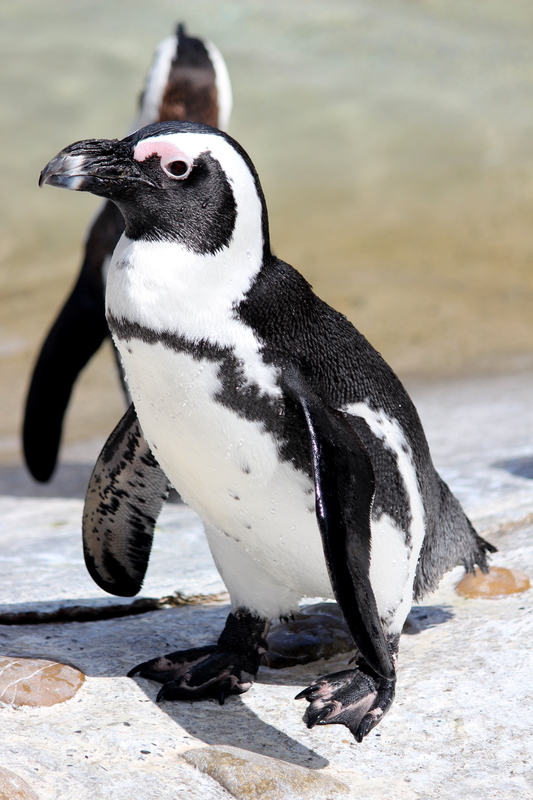 A penguin at the Stuttgart Zoo and Botanical Garden. Honestly, I can’t say when I first got struck with wanderlust. I can say that I was always enthralled with George Bailey describing to little Mary Thatch all the places he would visit in the movie “It’s a Wonderful Life.” I was equally enraptured by the scene where he held his long arms out to show just how big a suitcase he would need for his adventures and, as inconvenient as it is to carry around a huge, leather traveling case without wheels, I’m a little disappointed that I don’t have something to put my own traveling stickers on. When people ask me where I want to go the most, I don’t have an answer. That’s like asking what my favorite color is – I like them all! (I know, I know – we all hate people who don’t have a favorite color). So coming to Prague was like the first step in a grand adventure. Yes, it’s work. It’s good work that I’m doing here. And I try not to distract from the fact that I came here for a purpose. But let’s be honest. Prague. C’mon. 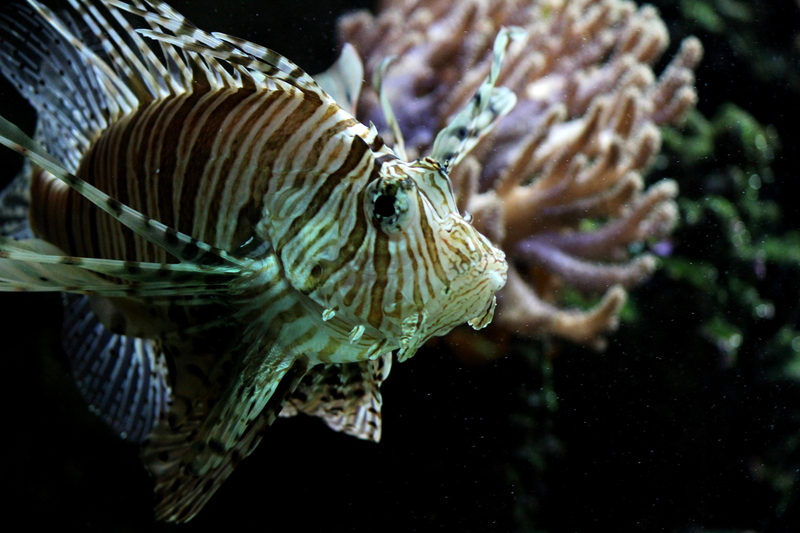 Aquarium at the Stuttgart Zoo and Botanical Garden. In the last two and a half months I’ve been to Austria, Germany, corners of the Czech Republic you’d never believe exist, and for five short minutes while hiking I was in Poland. I’ve seen mountains clothed in pine forests and valleys flooded with golden sunshine. I’ve seen cathedrals made from bricks and stones, churches carved from wood and bones. I’ve walked over cobblestones, tripped over creeks and eaten enough food from hole-in-the-wall crannies to regain my freshman fifteen. (Not kidding, I may need to find a gym pretty soon). 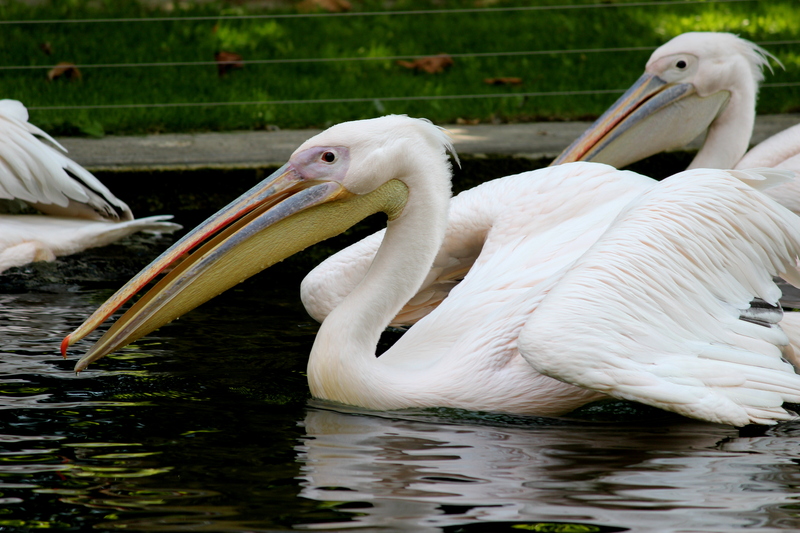 Pelican at the Stuttgart Zoo and Botanical Garden. But as summer came to a close, I took my first trip solely for my own pleasures. I went to Stuttgart to visit some family friends. Stuttgart is a tough place to get to, mostly because nothing goes there directly. Trains, buses, airplanes. I bet even birds stop off in Nuremberg before heading south. But harder than getting to the city, is getting onto the military base where my friends are stationed. Granted, if I had remembered to bring the phone number they gave me or had their address it would have been substantially easier. Even knowing the full name of Mr. G would have been helpful in convincing the MP that, gosh, I really am here to visit someone who actually works on this base, please don’t deport me. 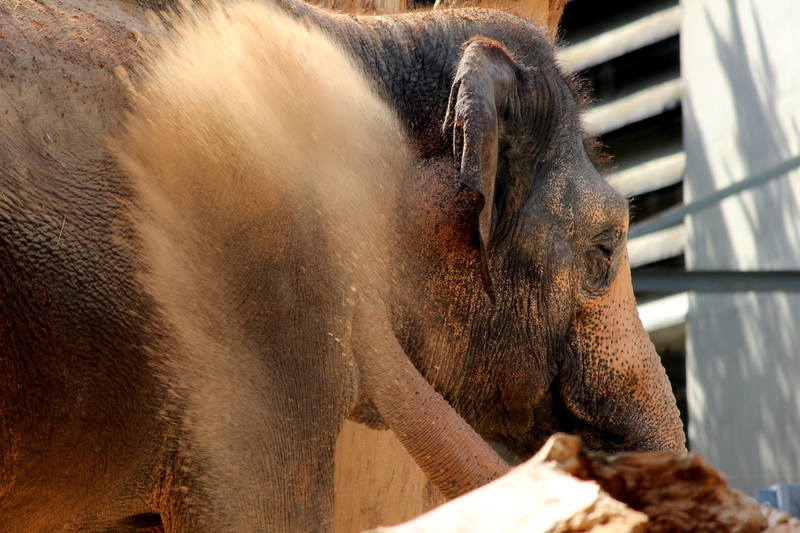 Dusting off, this tired elephant cools off at the Stuttgart Zoo and Botanical Garden. I did finally reach the family and we had an amazing week. Mrs. G. went out of her way to make sure I saw all the Stuttgart sites – like the Ritters factory where, for my first time ever, I was yelled at by a large German woman who I’m sure was named something like Helga. Josh and I were particularly impressed by how much chocolate was flavored with some kind of alcohol. And when they say “Rum, Raisin and Nuts” they’re not kidding about the rum. That bar smelled like Jack Sparrow. We went to the Stuttgart Zoo and Botanical Garden which used to be a palace garden. Then they moved in a bunch of animals. The zoo was one of the more incredible days. The fact that all the animals (excluding tigers and crocodiles, but including sea lions and penguins) were within petting and/or grabbing and stealing distance was a highlight. Nothing like shoplifting a meerkat. Learning the names of all my favorite animals in German was also pretty exhilarating. And watching monkeys interact with each other for nearly half an hour is always, always a good way to pass the time. 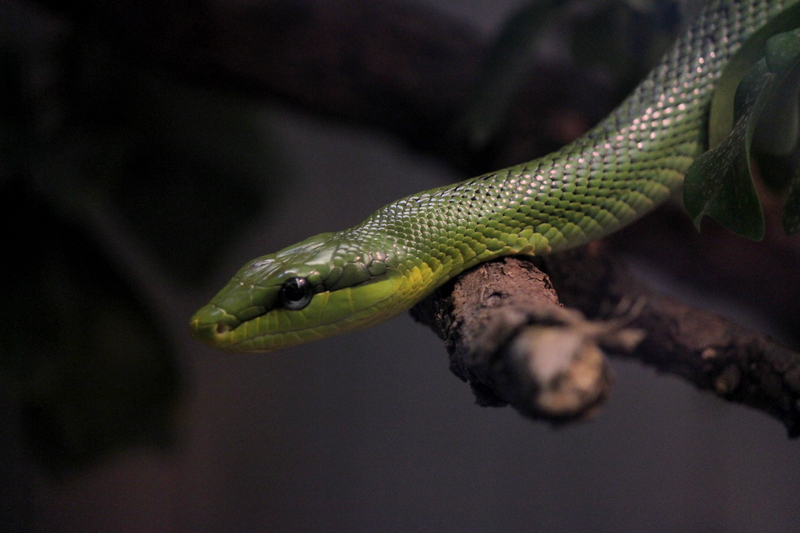 Reptile Exhibit at the Stuttgart Zoo and Botanical Garden. But really it was a good day because everyone was in it. Mrs. G and all the kids dragged me along like I was part of the family. I was shoved into exhibits, bought ice-cream and even given grace when I insisted on slowing everyone up all day to take pictures. They treated me just like my own siblings would (a dangerous accusation, I understand). And after the last few weeks – homesick doesn’t even begin to describe the last few weeks – it was so good to be part of their home. Mrs. G. packed me a lunch for the bus ride back to Prague (with all my favorite American snacks!) and Grace gave me a list of must-see movies. I left some chocolate and Czech wafers and a ‘thank you’ card that wasn’t nearly long enough. I wish I could have cut out my bleeding heart and laid it on the table for them to let them know just how much it meant to me to be a part of their family for a week. But in hindsight, that would have made a real mess. 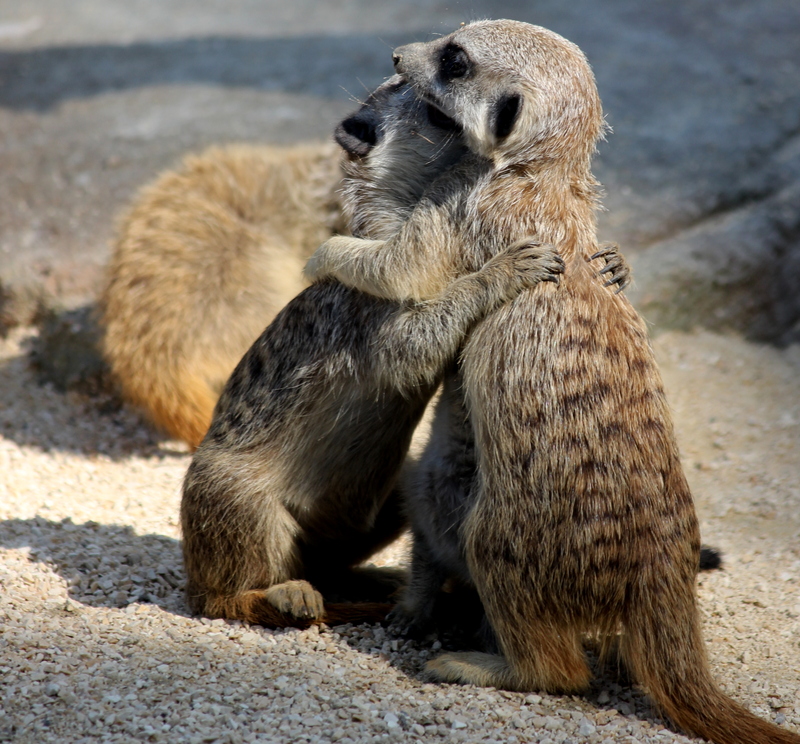 Meerkats ‘hugging it out’ at the Stuttgart Zoo and Botanical Garden. I was always sorry for George Bailey because he never gets to see the world. But George learned what I should have learned just from watching the movie (I’d have saved myself a lot of grief). It’s not where you are, it’s who you’re with. More adventures are down the road, I’m sure of it. But I’m hoping this year is full of ‘who’s and not just ‘where’s. And thank you, Mrs. G. You and your family are some of my favorite ‘who’s. This entry was tagged Botanical Garden, Czech Republic, Europe, Germany, Stuttgart Zoo, travel. Bookmark the permalink.